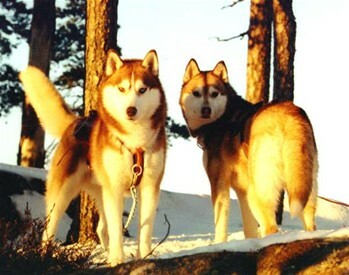 Siberians who will always have a place in our heart! Dogs who are behind most of our current dogs! Amy was a lovely siberian who gave us so much pleaseure! Many thanks to her breeders who let this lovely girl come to us! 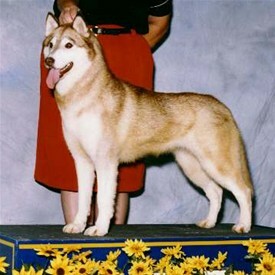 Cookie became the mother of the first Carillo Siberian litter. She had tree lovely litters and is mother of many champions! 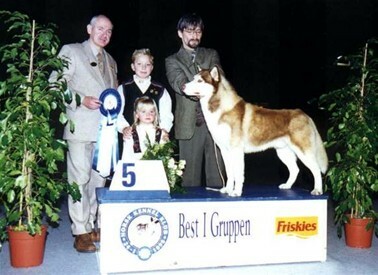 DOG OF THE YEAR ALL BREEDS 1999! Wesson is father of only four litters. Topp winners and champions in all of them. Many Best in Show wins to his credit. Siri is a litter sister to Gaia. She is is out of Int.N.DK Ch. JWW98 Nordv98 NV99 SV99 Desloupiots Wesson O'Ìnnisfree & N..& Dk. Ch. Kbhvn W-99 Innisfree`s Tuff Cookie. She was a topp winner for many yrs. Many group and BIS wins to her credit! She is mother to many top dogs also. We had to say godbay to our main leader Pekko on April 17th. 2009. He will be sadly missed.